This den in a 1948 ranch style home in the Oak Forest neighborhood of Houston has two full walls of glass that look out onto a beautiful, green yard. The room was originally papered in really dark green vinyl faux grasscloth – I think the idea was to coordinate the room color with the verdant foliage outside. It wasn’t working. 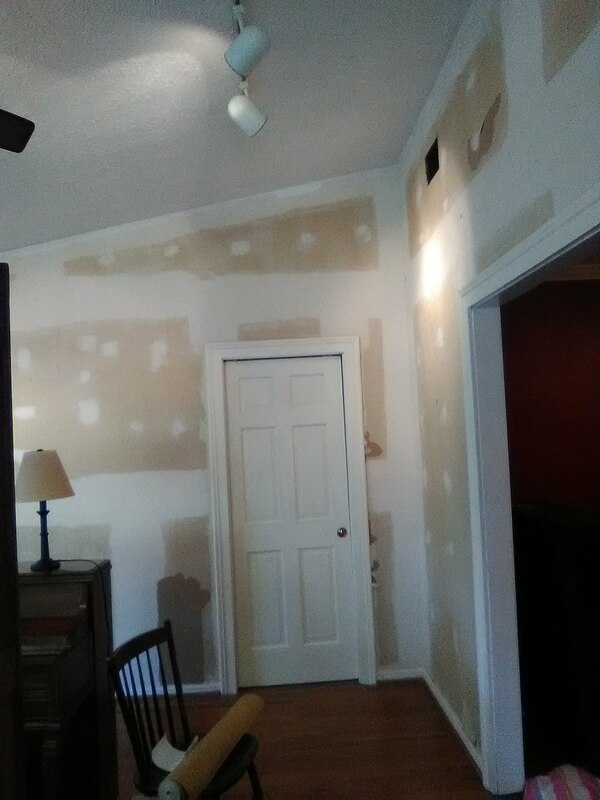 “We’ve lived with this for 20 years,” said the husband, “and have been trying all that time to figure out what would make it look better.” Indeed, I first looked at this room in 2015. Well, three years later, the homeowners finally found something way better. 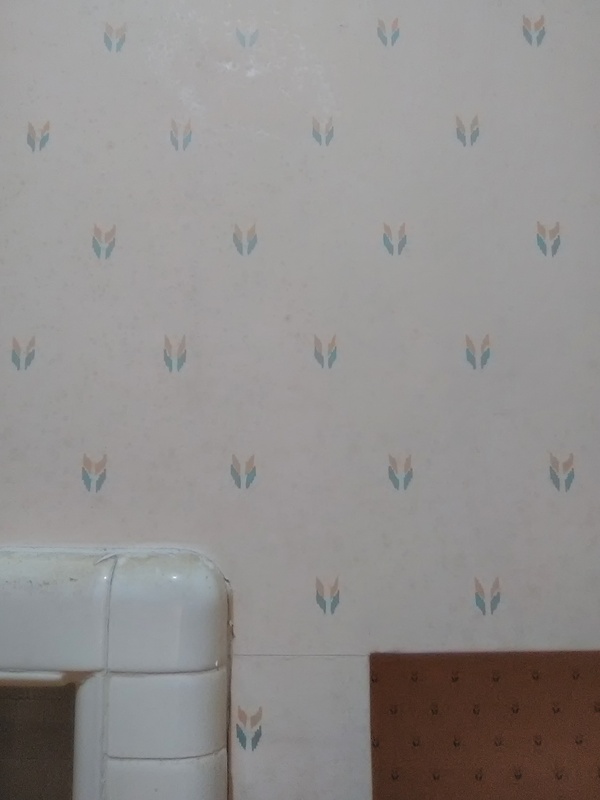 The new wallpaper is also a faux grasscloth in a textured vinyl material. 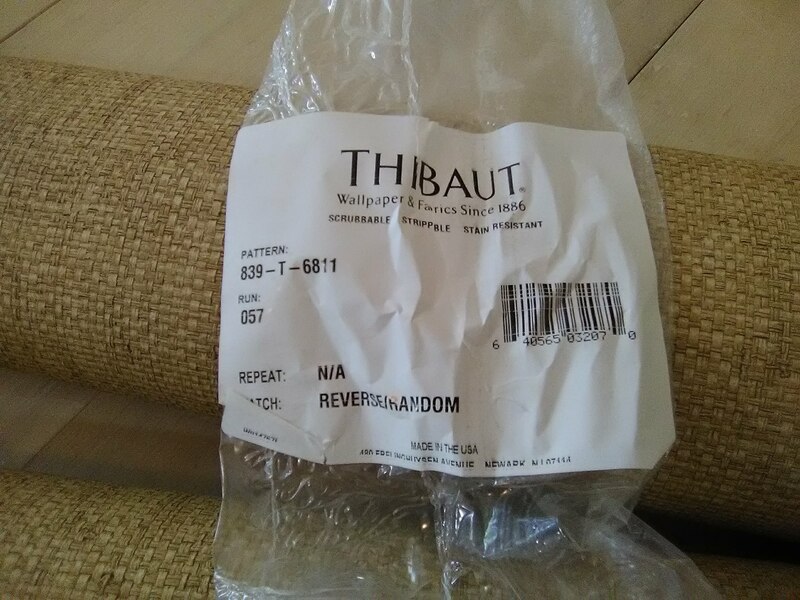 I like this product much better than real grasscloth, because it is free of the visible seams, shading, paneling, and color variations that are such a disappointment with the real stuff (do a Search here for more posts / info). 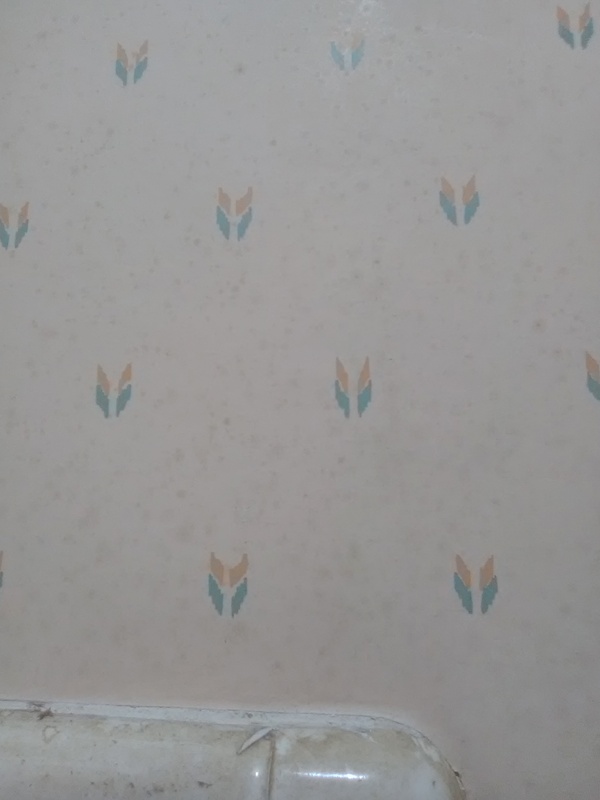 It is one of the few wallcoverings that are actually water-resistant and stain-resistant, and it will stand up to being banged into now and then – it’s the same commercial-grade material used in hotels and hospitals. In addition, the scrim (woven fabric) backing, along with the vinyl surface, will provide some “give” – which is good, because this room had stress cracks in the drywall over doors and windows, and showed signs of the house shifting on its foundation, thanks to our contrary Houston gumbo soil. The mottled color of the paper, along with the woven texture, give the feel of real grasscloth. 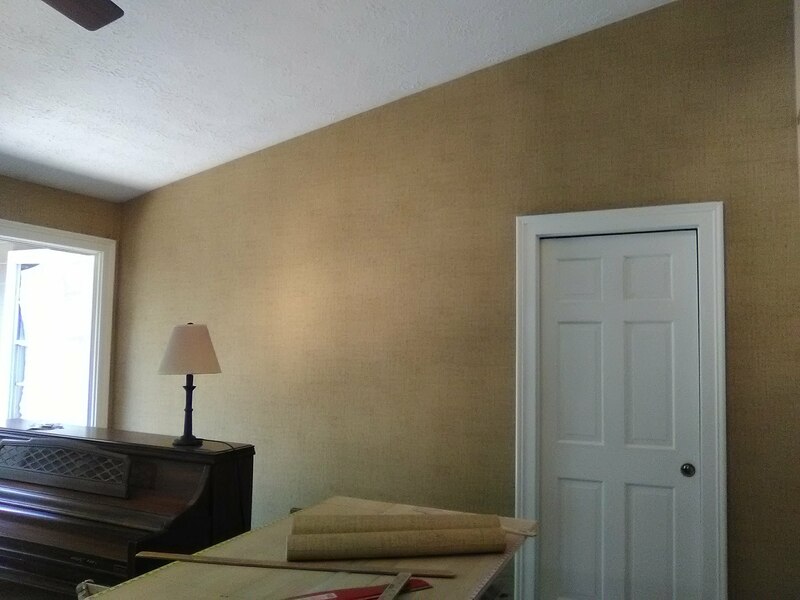 The tan is a natural color, and it goes nicely with the view outside the window, but doesn’t compete with the scenery like the dark green paper did. The dark furniture in the room is no longer swallowed up by the dark wallpaper, and all of a sudden, the whole space is much brighter. After 20 years, it’s a big change for the homeowners, but already, they are loving it! This wallpaper pattern is called Bankun Raffia, and is by Thibaut Designs. It was bought from my favorite source for good quality, product knowledge, expert service, and competitive price – Dorota Hartwig at Southwestern Paint on Bissonnet near Kirby. (713) 520-6262 or dorotasouthwestern@hotmail.com. She is great at helping you find just the perfect paper! Discuss your project and make an appointment before heading over to see her.